This is such an easy recipe that it almost feels like cheating, but it was so good I had to share. And sometimes you need easy. Especially on Mondays! I used prepared pesto in a jar for this recipe, but if you have fresh available then more power to you! Pesto is very simple to make, but fresh basil is dang expensive when not in season. During the winter I like to have a jar of pesto on hand. 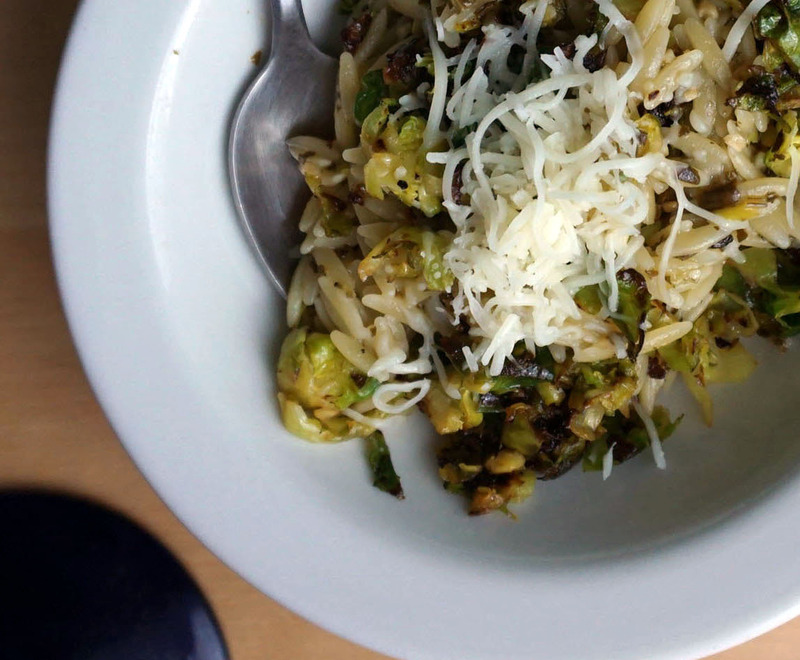 It really peps up a lot of otherwise boring dishes (pesto in scrambled eggs = yum!). 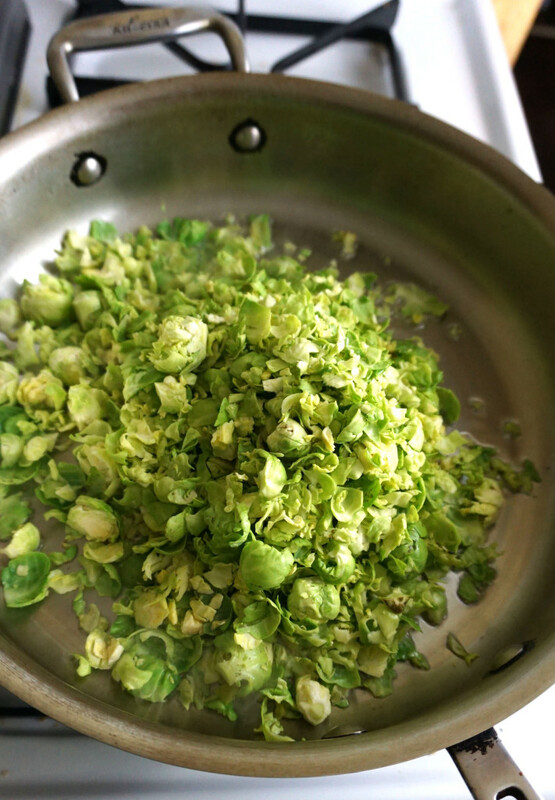 And yes, I realize this is my second Brussels sprout recipe, but I still had some leftover from our CSA that I had to use and I was pleasantly surprised at how good this was. 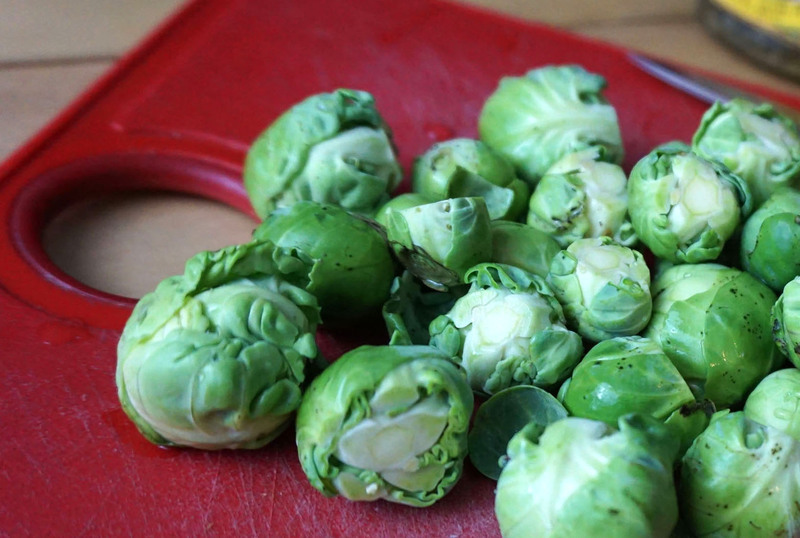 You could purchase pre sliced Brussels sprouts(Trader Joe’s has them) if you want basically zero prep time. I cut the ends off and then put them in my Ninja blender for a couple whirls. The slices weren’t completely uniform, but it did the trick. Yay for lazy girl chopping! 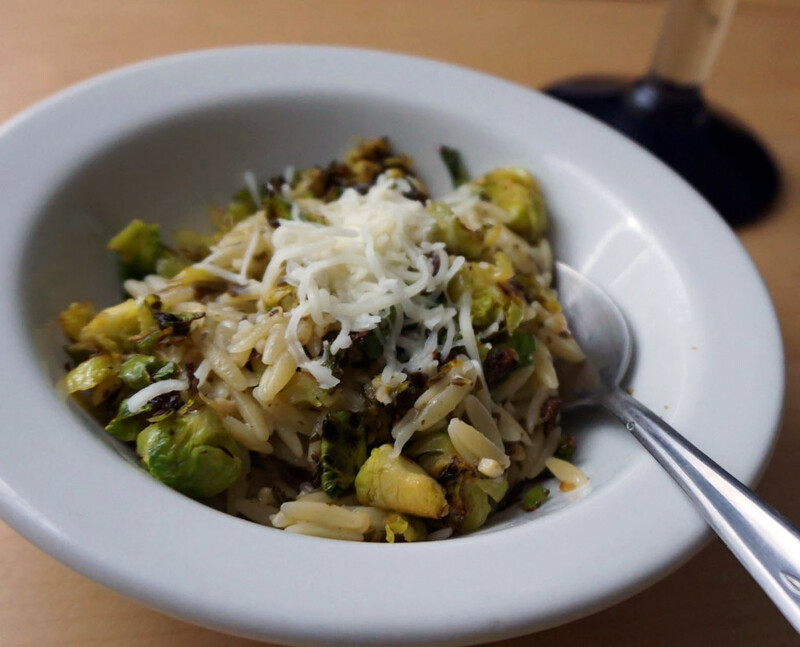 You could use any pasta that you have on hand, but I love orzo for dishes like this. 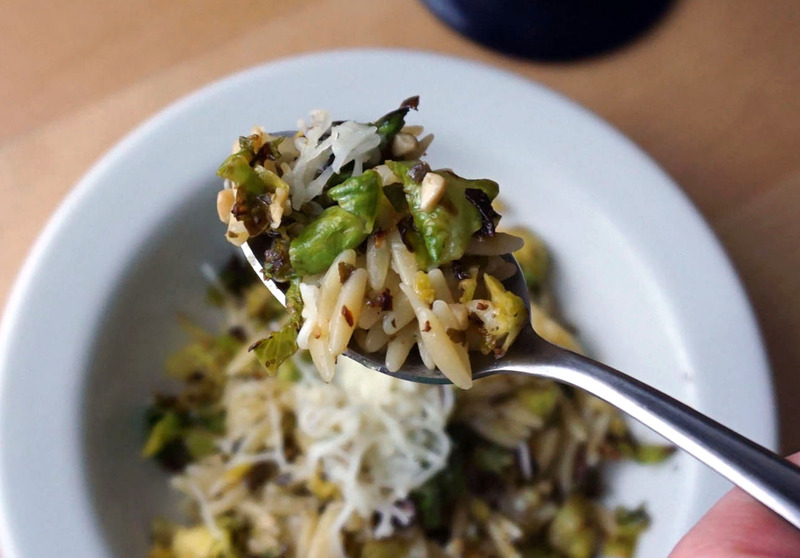 Since the orzo is so small I feel like you don’t need a lot of it, and it disperses throughout the dish more evenly. It’s like rice, but better (IMHO). You could also easily add a protein to this dish. I think shrimp, tofu or chicken would be great in this. We had this as a main course(by main I mean the one and only course because we ain’t fancy), but it could easily be served as a side dish. Prepare orzo according to box directions. Heat olive oil on med high heat. 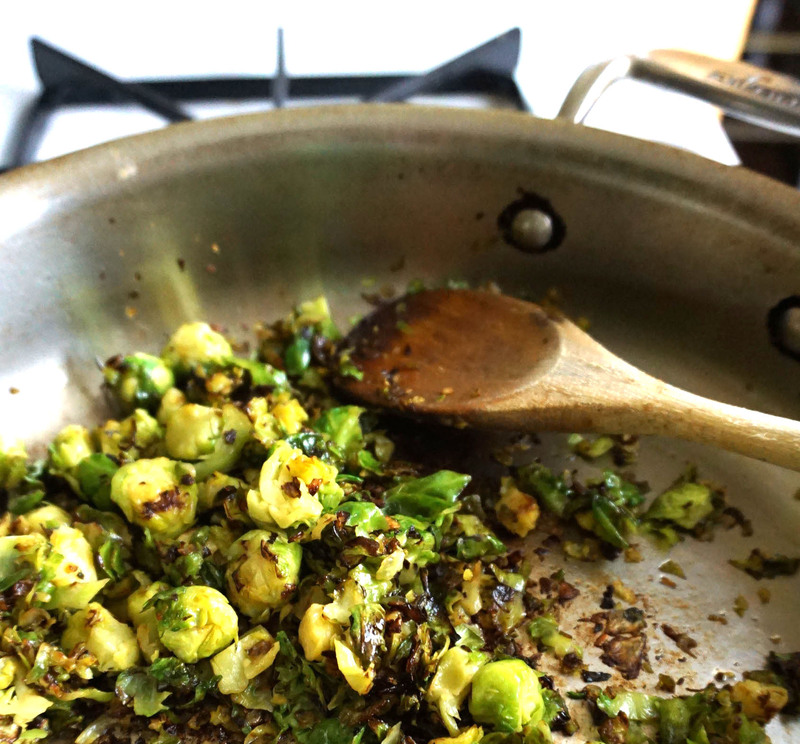 Cook until brussels sprouts are lightly browned. Add in prepared orzo and pesto. Top with mozzerella and/or parmesan.